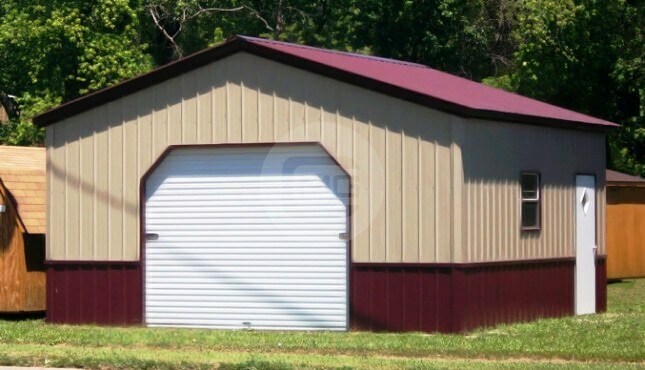 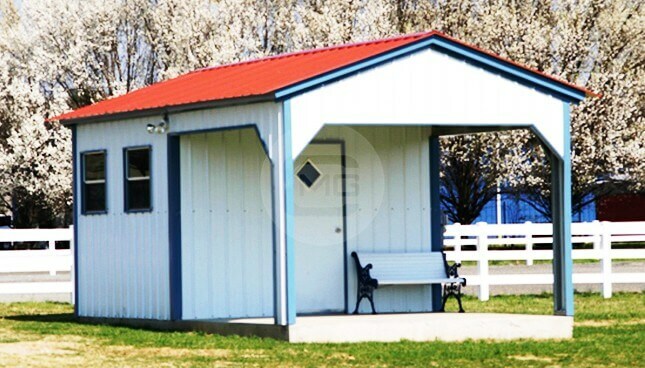 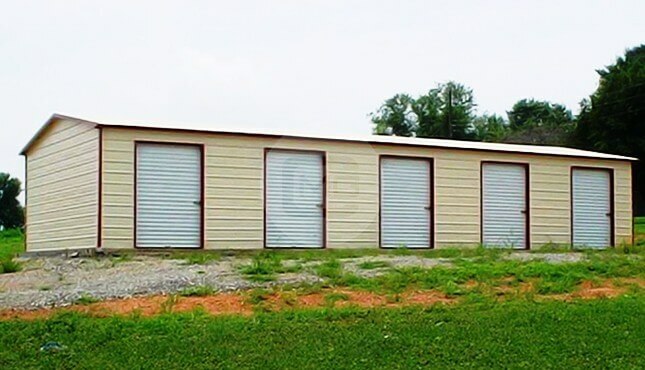 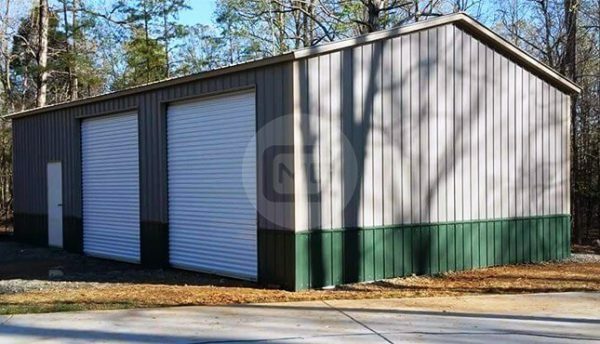 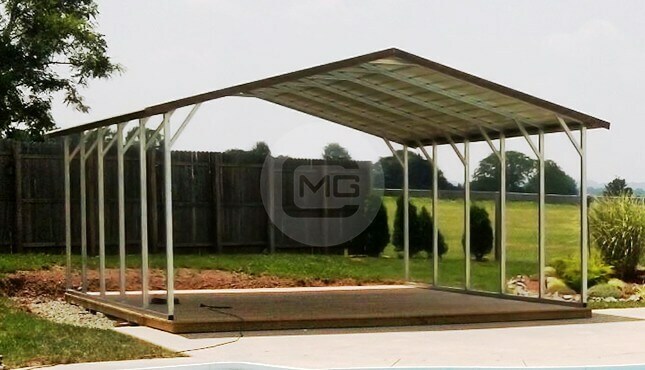 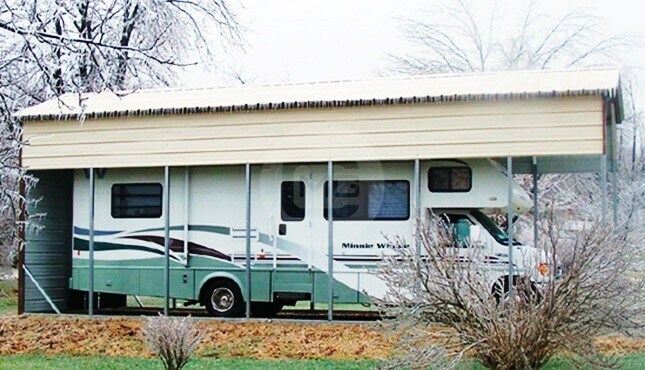 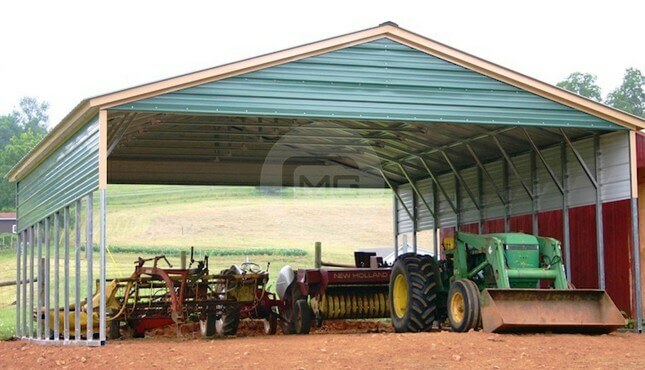 24x41x12 – Steel Garage with Side Entry. 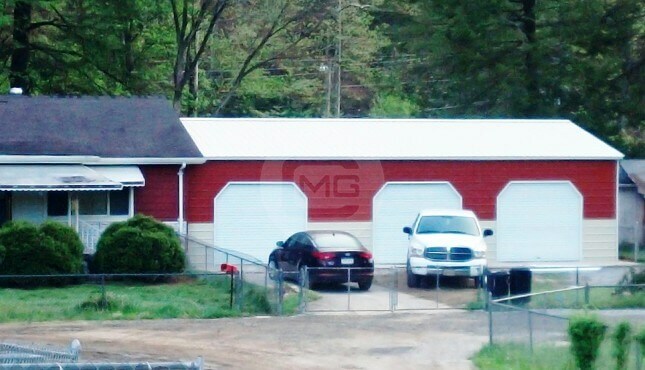 This garage has Vertical roof with vertical sides and ends. 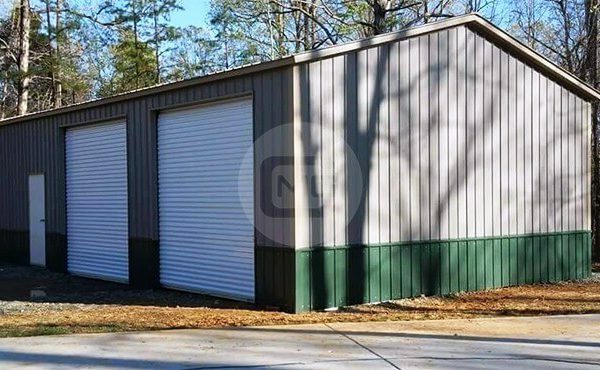 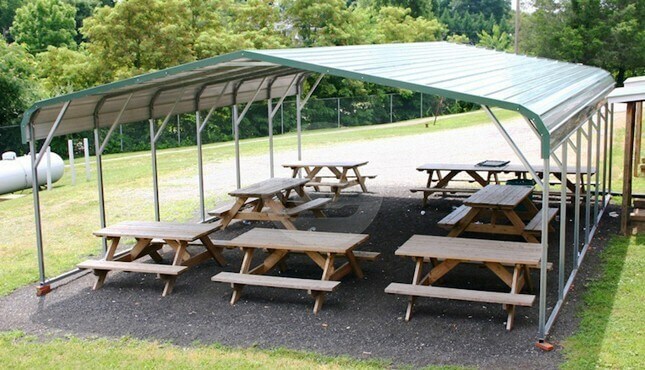 The vertical two tone deluxe package (wainscoting) includes (2) 10×10 metal roll up, (1) 36×80 walk in door.